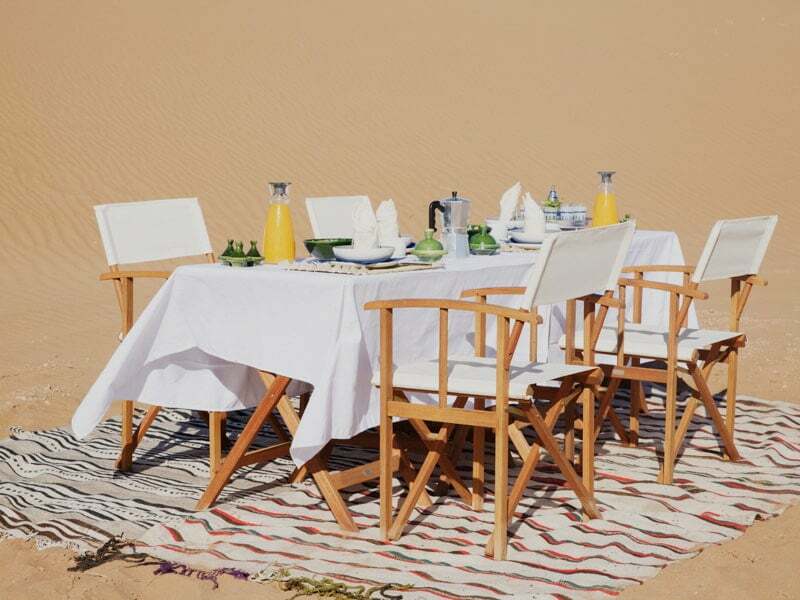 This is the ultimate dining experience in the Sahara Desert. 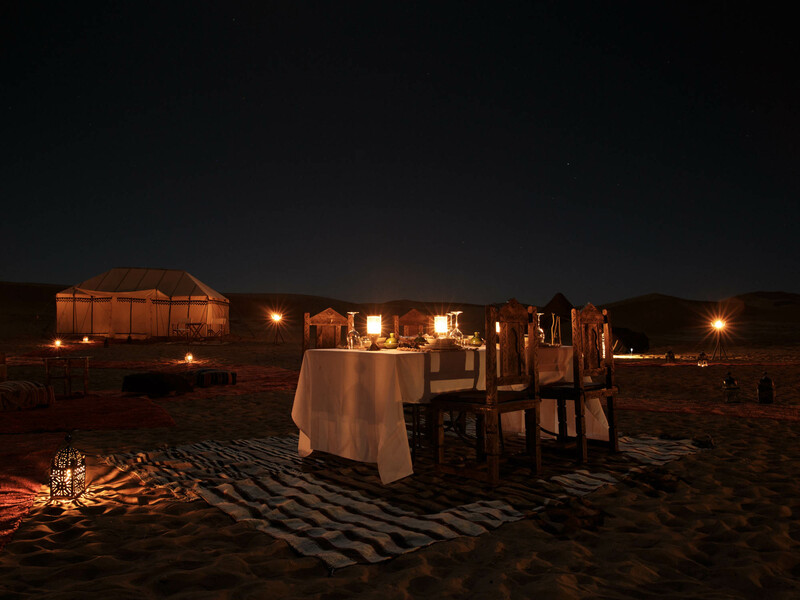 Choose between private dining in the dunes, smart dining in the restaurant tent, a more casual affair under the shade of a Berber tent or a nomadic feast under the stars. 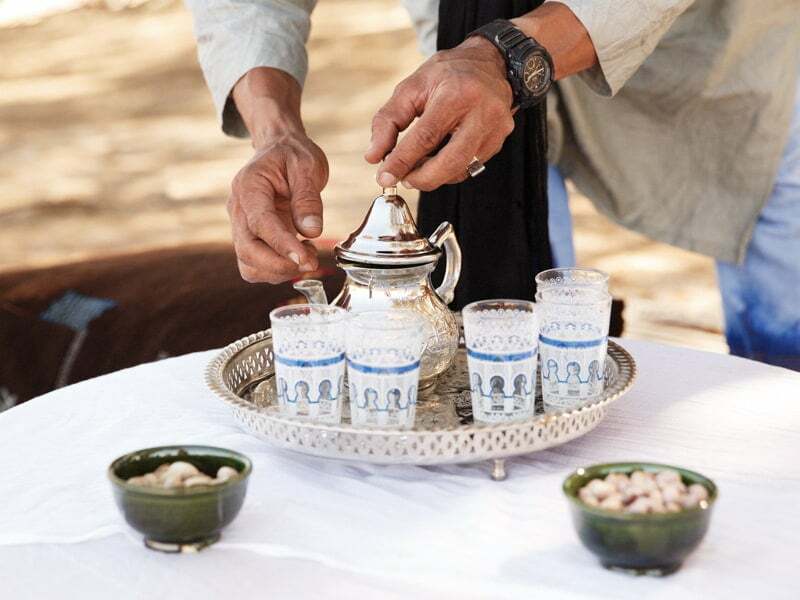 Our chef creates locally sourced, delicious Moroccan meals, catering for all dietary needs. Ingredients are bought daily from the village and freshly prepared in our fully equipped kitchen. 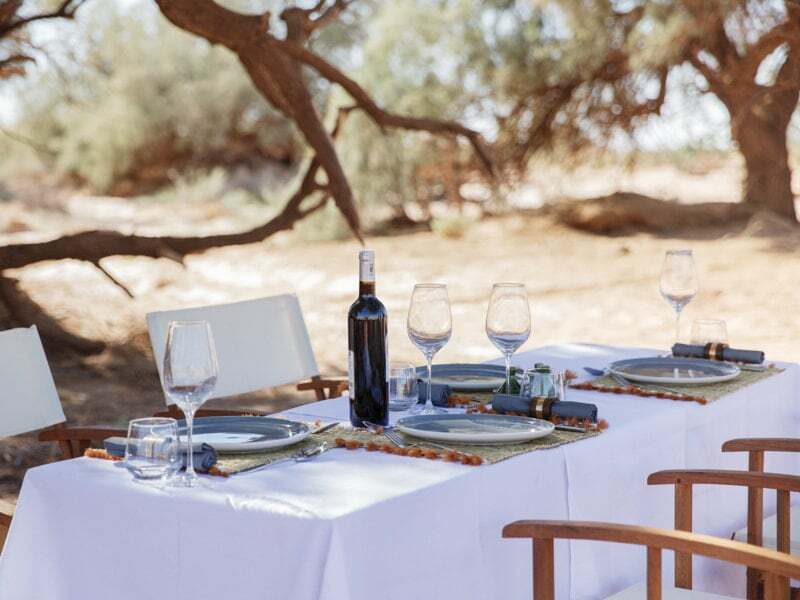 At lunch time, a full picnic can also be taken to a desert oasis with a nomadic lunch served under the shade of the Tamarisk trees, on your camel trekking or 4×4 tour. We love to cater for special occasions, so let us know if there is a Birthday or Anniversary and we will include a complementary bottle of Champagne and a cake! Alcohol can be brought to the Erg Chegaga camp for chilling and serving, please ask your driver on the journey down. As the sun begins to set, take a guide to the top of the high dune, for the most spectacular view of the undulating Sahara Desert. 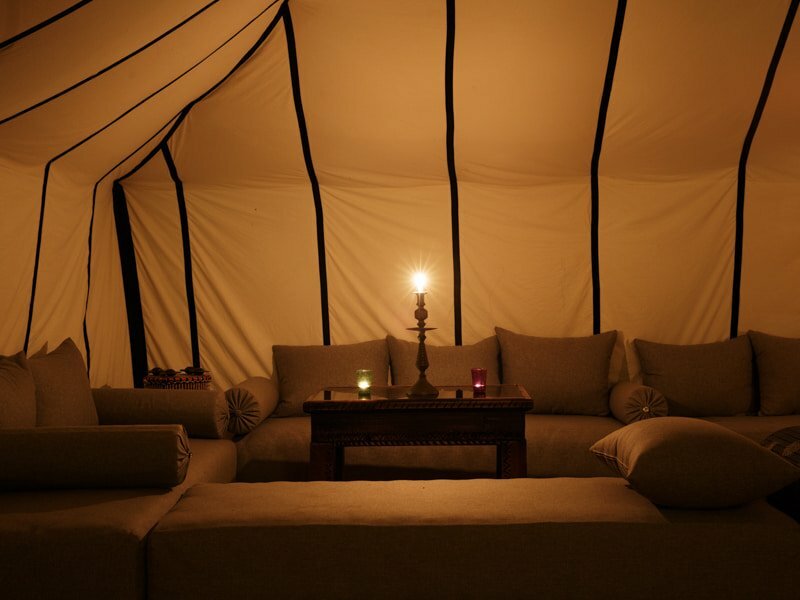 After dinner, the fire is lit in the centre of the tents and cushions laid out to enjoy a magical evening around the camp fire, under a dome of falling stars. 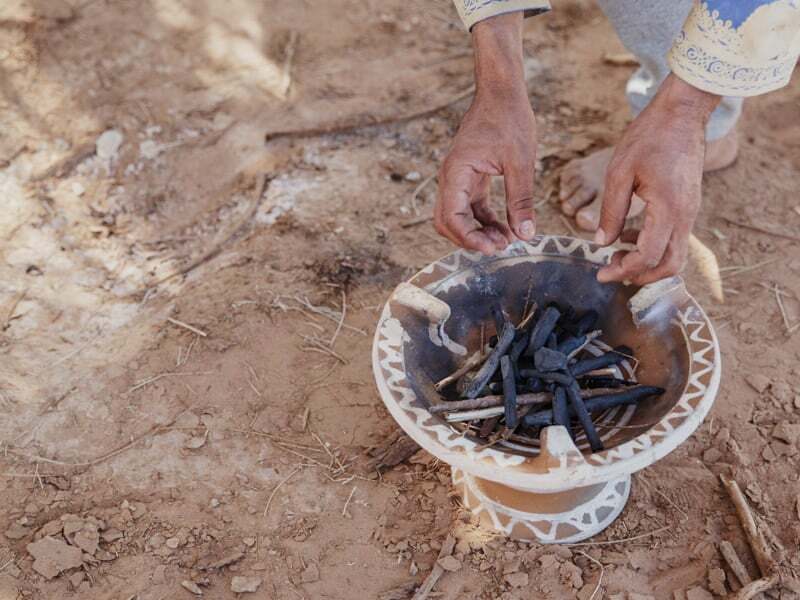 Traditional Berber musicians gather and the drumming and singing begins, taking you to another world, another time and place. 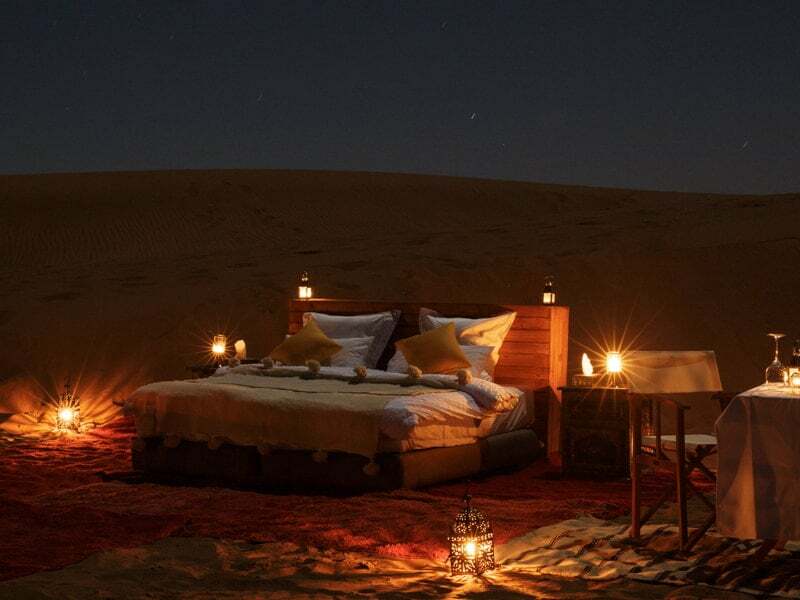 You can even sleep outside under the stars, just ask the team to set up your bedroom!